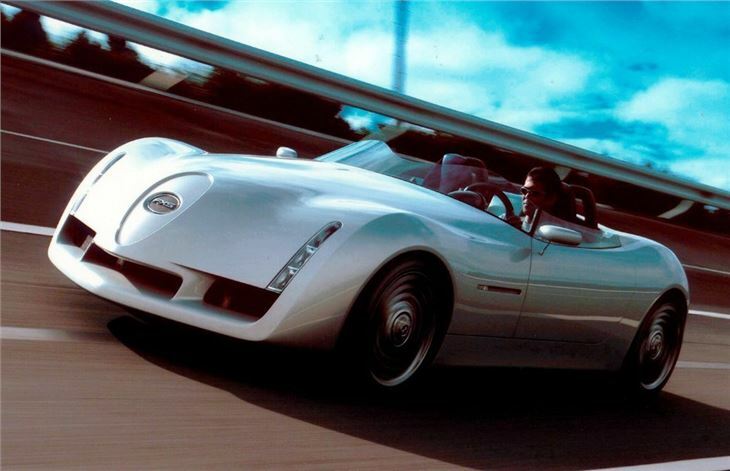 Fanciful, strangely styled 2 seater front engined sports roadster concept that might have competed against the MX-5. When Toyota already had the 'Midship Runabout' 2, why? Never got anywhere near production.